Price listed is for 1/2 ounce of beads/drops. These are approximately 15mm by 6mm black wooden beads. The hole is drilled horizontally through the top of the bead. 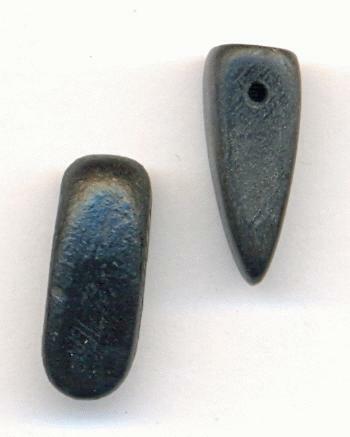 The size and the hole location varies slightly with each bead. The holes of these beads measure approximately 0.5mm but sizing may vary from bead to bead. There should be about 65 beads in each half ounce.